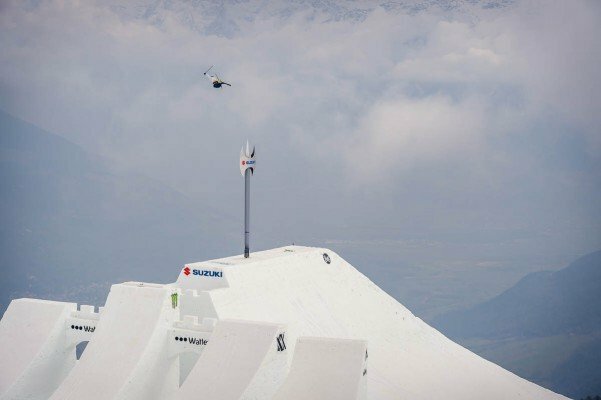 Wise propelled himself more than 46 feet above the coping in the largest hip jump at 18 meters ever built for the contest on April 2. Prizes for freestyle runs went Italian snowboarder Christof Schenk and Belgian snowboarder Sebbe De Buck. A hip jump is a ramp built at 90 degree angle to the landing so competitors need to contort their body and angle their approach to stick the finish. Wise beat the height record on the final day of the contest following a record-breaking air by Joffrey Pollet-Villard just a few days earlier. Wise’s jump was a full 3 meters higher.